The popular saying goes, “If it isn’t broken, don’t fix it” and Nissan South Africa has certainly been employing this strategy when it comes to the popular three-quarter tonne NP200 bakkie. 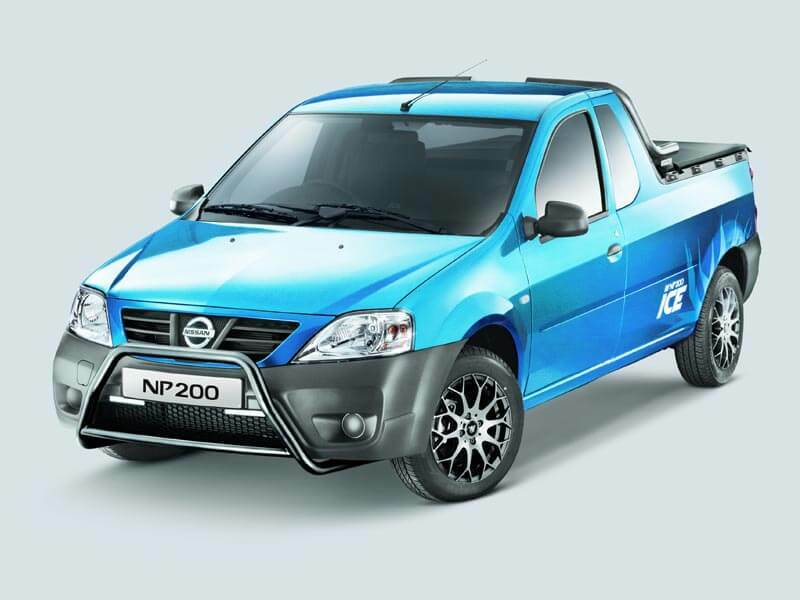 Debuted in 2008, the NP200 had the arduous task of replacing the Nissan Champ, a bakkie so well loved by the South African public it had become a cult-classic. With its back-to-basics, no-nonsense approach, the Nissan Champ did for small businesses what the Toyota HiAce did for the working class of South Africa, providing a cheap, reliable form of transport for both business and private customers. Successfully replacing it was no mean feat, yet the NP200 took the torch from the Champ and literally ran with it, fast becoming a new South African favourite and sales leader in the half- to three-quarter tonne bakkie market. Largely unchanged since its inception in 2008, the NP200 continues to offer class-leading load capacity, features and specification from the entry-level 1.6i which has been the staple for businesses to the top of the range 1.5 dCi SE which has traditionally attracted a private buyer who has the occasional load-lugging requirement. 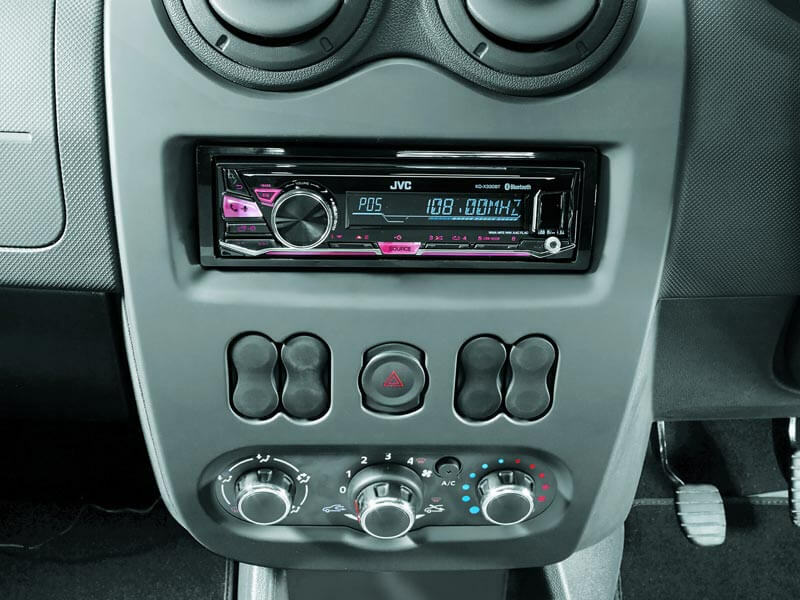 It is the latter model which Nissan has regularly used as a showcase for special edition models, offering a further degree of customisation for customers who are looking for something a little different to the run of the mill NP200. 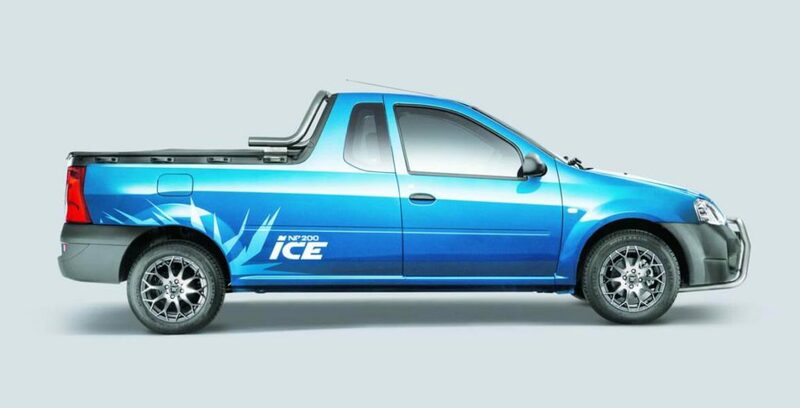 Following on from the Loaded (2014) and Stealth (2015) editions, the Nissan NP200 ICE has just been released and it continues the tradition of offering bakkie-lovers the perfect platform with which to stand out from the crowd. Dubbed as the coolest half tonne pick-up to have rolled off Nissan’s Rosslyn production line to date, the new special edition model is available now in limited numbers across Nissan’s local dealer network from R191 900. 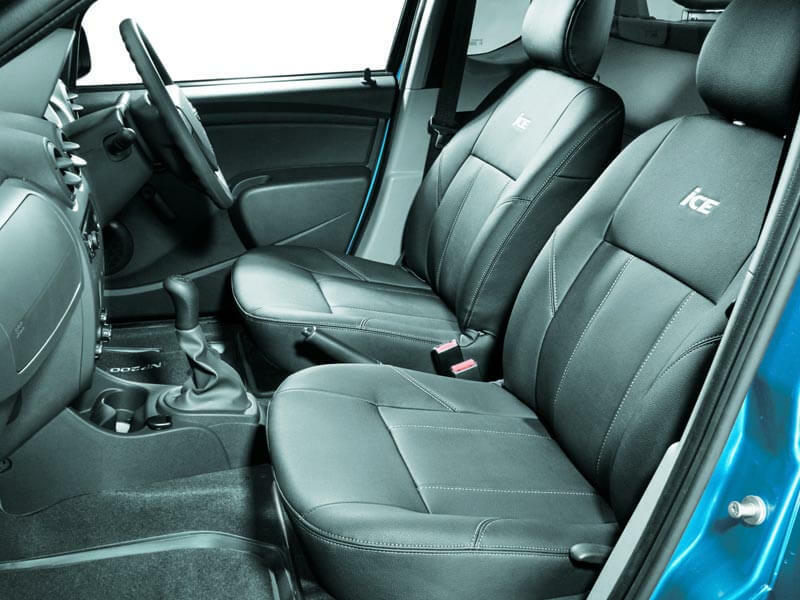 The most obvious addition to the NP200 ICE is the bespoke paintwork options, Starling Blue and Bright Silver. 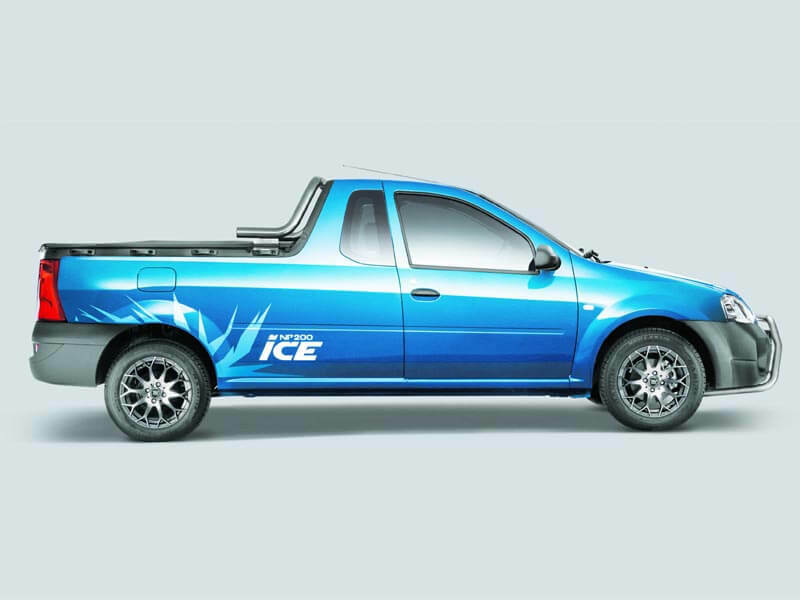 Nissan says these colours were chosen specifically for the way the add-ons unique to the ICE edition such as the decals, brushed aluminium fittings and the dark window tint contrast with the paint colour. Brushed aluminium is the central theme on the ICE edition featuring on the bespoke front nudge bar as well as the rollover bar or sports bar as Nissan call it. 15-inch alloy wheels unique to the ICE edition compliment the aluminium add-ons nicely. Also standard on the ICE edition is a rubberised load bay, a welcome and functional addition for users who intend to actually use the loading area. It’s worth noting that a standout feature is the NP200’s ability to carry a full 800kg payload, making it more of a three-quarter tonne bakkie, than half-tonne. A fitted tonneau cover which is fastened by the popular side-rail method helps for those more valuable items you might want to conceal from prying eyes, as well as rear step plates fitted on the rear bumper are also standard equipment. Dark tinted anti-smash and grab and daytime running lights round off the exterior updates. 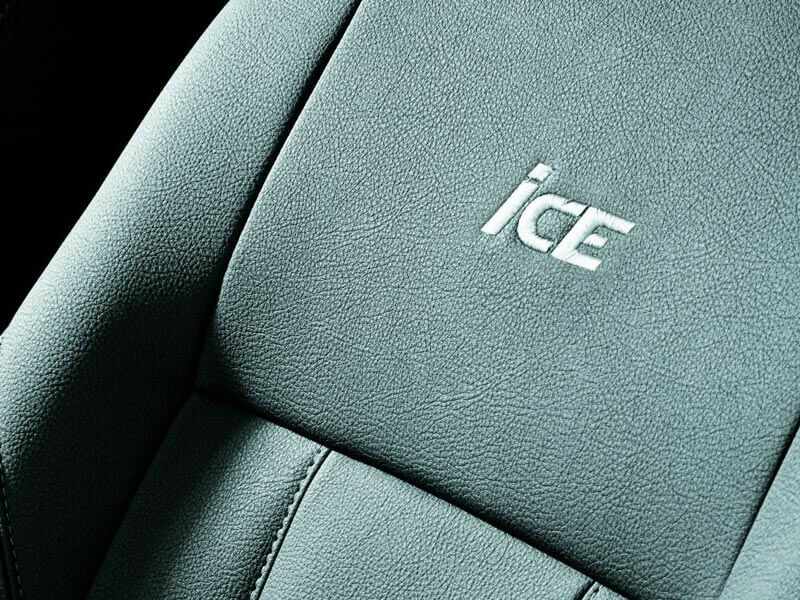 Updates to the ICE edition are not just exterior with the interior also receiving a once over from Nissan’s design team. 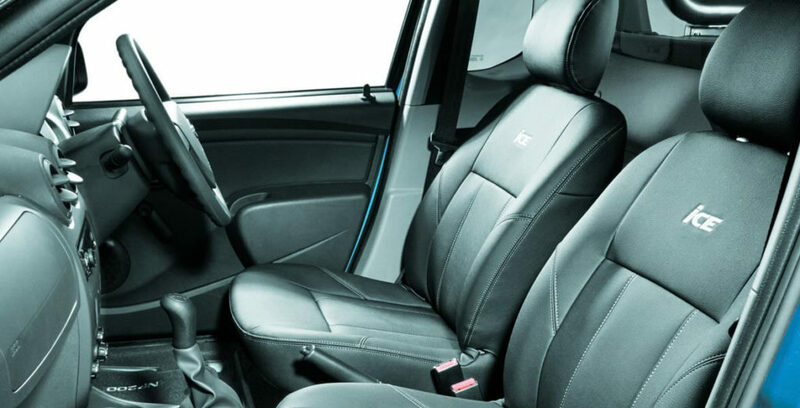 Combination leather upholstery and rubber carpets, special entertainment system, with hands-free Bluetooth phone connectivity and audio streaming and a USB connection make for a welcoming interior ambience. Two airbags and ABS brakes are present and part of the standard Nissan Safety Pack. 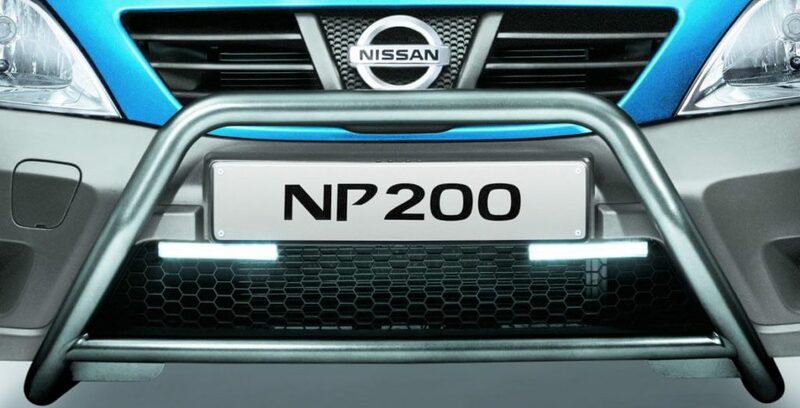 Powering the NP200 ICE are a pair of familiar engines available throughout the NP200 range. At R191 900, the 8V 1.6-litre petrol engine offers the most affordable entry into the NP200 ICE range delivering 64kW and 128Nm of torque whilst using a claimed 8.1-litres of fuel per 100km in the combined usage cycle. The diesel option available is fitted with Nissan’s acclaimed 1.5 dCi turbodiesel engine, which delivers 63kW and 200Nm and uses only 5.3-litres per 100 km in a combined cycle. This model is available for R204 900. 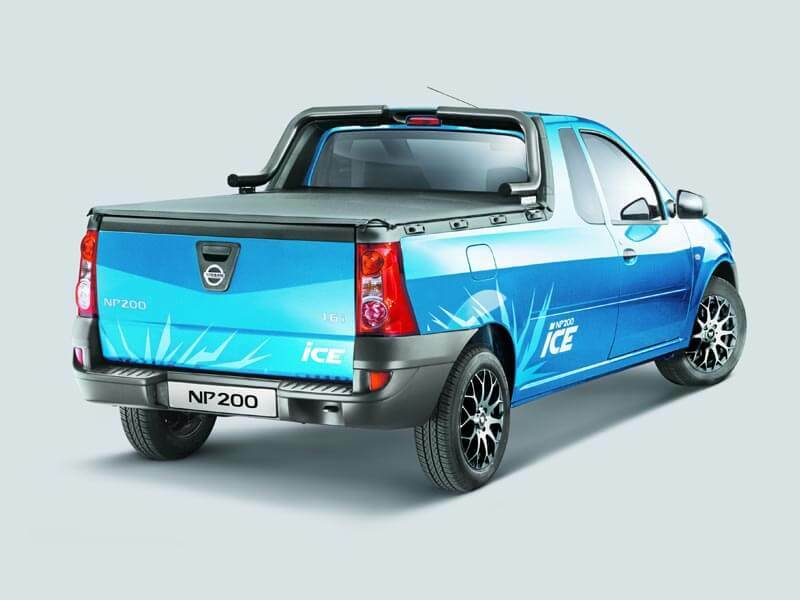 The NP200 ICE is sold with an impressive 6-year or 150 000km warranty, which remains best in its class. A service plan is available as an optional extra.